Do you mind referring me to that particular announcement? I don't seem to be able to trade on Bitcoin today which Saturday evening - it says markets are closed. rom 18 November, you’ll be able to trade on Saturdays as well as Sundays, on the FTSE, the Germany 30, Wall Street, bitcoin, bitcoin cash and ether. Our new weekend hours across indices will be 8am on Saturdays to 10.40pm on Sundays (UK time). Any weekend index position held through Sunday’s close will be rolled into a weekday contract. Please note that stops and limits on weekday indices are not affected by weekend trading. Our cryptocurrency markets will open at 8am on Saturdays, and remain open until 10pm on Fridays (UK time). Please be aware that any attached or unattached stops or limits can be triggered during this new trading session. I keep getting my BTC trades rejected with no explanation other than'rejected sorry'. Are people coming across the same issue? I raised a ticket with the support desk and apparently the reason for the rejections is that the market was in an 'un-longable' state at the time I attempted my trades. I don't understand why, if the market is open, we are not allowed to place a long position. It almost feels like trades are not allowed when they have a high probability of being winners? Keen to hear if anyone is experiencing this problem. Yes I've been having the same issue. Perhaps IG should introduce some sort of alert function to notify us of when unlongable/shortable restrictions are removed. Bloomberg article points out some problems ahead for bitcoin. 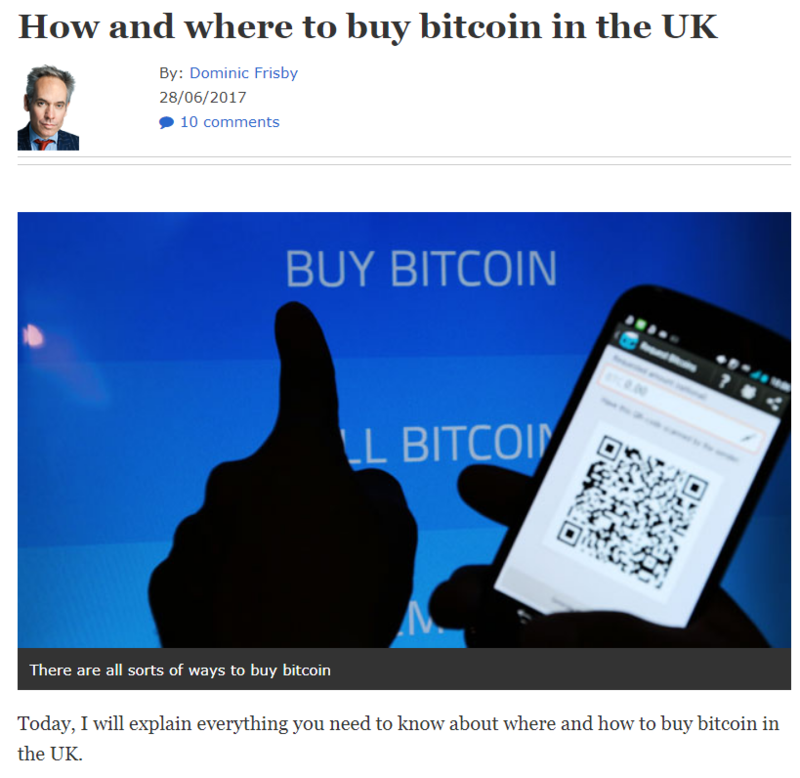 Straight forward Moneyweek article (June) on ways to buy bitcoin or bitcoin derivatives in the UK. Big scam report from Canada involving Bitcoin ATM's . 45 people lose $340,000. 2 points, caller id on your phone can be faked, and scammers are demanding payment into a Bitcoin ATM. Ouch on the scam! As well as placing leaflets at the bitcoin ATMs, the police should be placing leaflets in banks saying, "don't withdraw your savings and give them to a stranger". 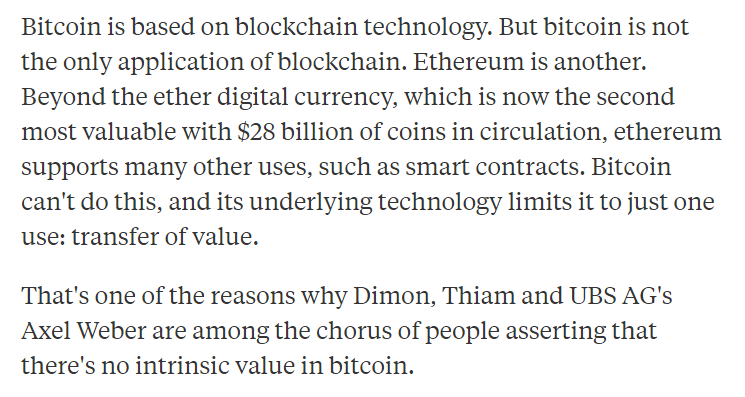 Bloomberg guest piece on Bitcoins recent price moves and a problematic future. 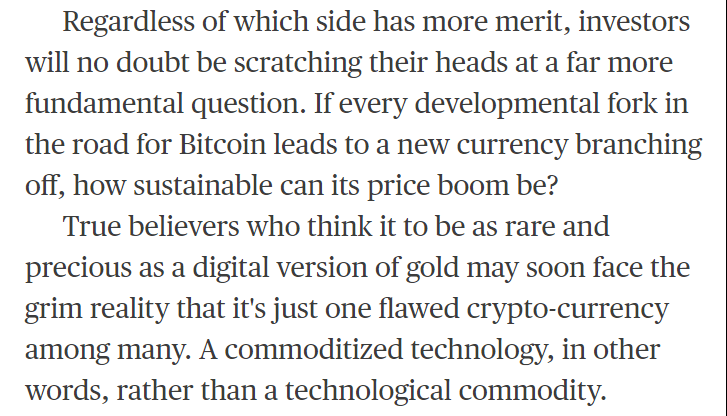 Bloomberg article on bitcoin emerging as a replacement for gold as a safe haven during crisis. Around 1 million bitcoins have been stolen from exchanges since 2011 Reuters calculate. Article on hacking and collapsed exchanges. Bloomberg put recent bitcoin slump as a result of security concerns after another big theft, $31 million worth taken from the Tether Treasury wallet. NY Times piece on the increasing concerns around crypto exchanges re; hacking and security, disclosure and business models. 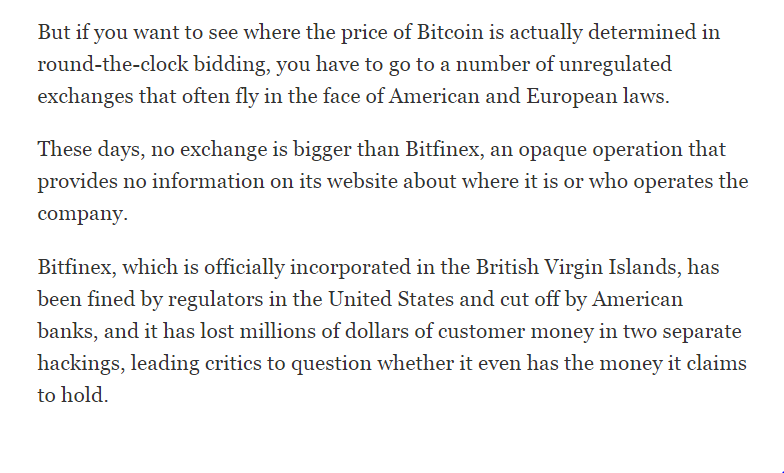 An interesting article about Bitfinex, I'll definitely continue to avoid them. When you look at what happened at say Equifax, or remember the Bangladesh Bank losing $101 million to hackers, it is any surprise there are also badly run and poorly secured exchanges. It's a shame they don't offer any constructive advice about how to invest safely in the article. James, why is trading in cryptos frozen sometimes? What if want to liquidate a position and its low volume? Hi - if you were in a position you would be able to close your deal (provided the market was open on IG). The 'unlongable' and 'unborrowable' rejections would only stop a new trade being booked onto an account. I hope this clarifies things. James I’m new here. How often does the buy option become unavailable ? When are you expecting it to come back. Thanks......didn’t last long did it ?? See, bitcoin is nothing compared to tulips. 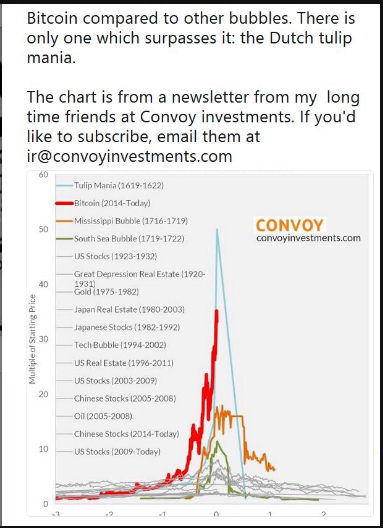 Bit worried about the back half of those charts though. IG and Plus 500 wary of an SNB type event hitting bitcoin. Article by Financemagnets. Also see previous post in thread. Optimising their offerings means making the markets 'unlongable' and therefore untradable? Bitcoin has an SNB moment (see previous posts) losing 18% in just a few hours. Lol, could these two stories be related? About the same time as a sudden 18% drop in btcusd was the news that the US IRS have ordered Coinbase to report users. If I have a position in Etheruem and my stop or limit isn't hit, will it rollover until tomorrow? 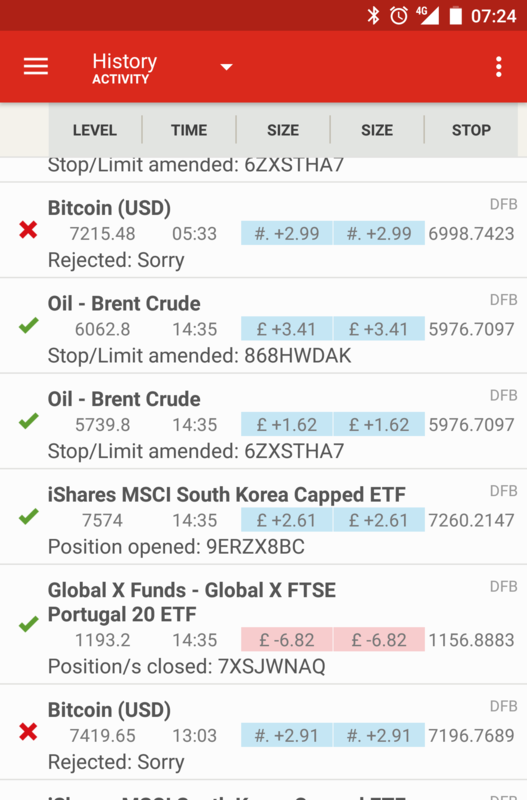 - yes - all positions will remain open until you either close the position, your stop is hit, or your losses on the account cause margin issues which would cause the position to close. We don't 'roll' positions (close and reopen) they simply stay open until the above criteria are hit. What are the trading hours of cryptos? Cryptos are running 24 by 7.